Black Onyx | BBQ teams ask – What will the brisket look like? 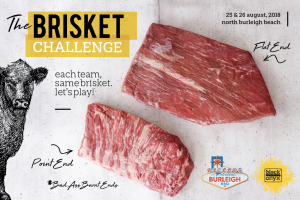 BBQ teams ask – What will the brisket look like? Through the Burleigh BBQ team, you’ll get a full Black Onyx brisket courtesy of Rangers Valley Verified Black Angus lineage. Each beast has a consistent marble score of 3 – 4, which is based on the rigorous Ausmeat system. Each animal is raised on pasture, then brought to the cool climate environment of the New England Tablelands where a slow growth philosophy is implemented, and each animal is cared for on a specialised vegetarian ration for 270+ days. 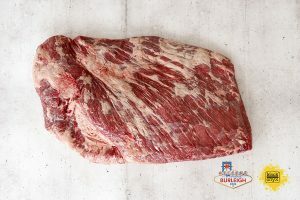 Want to buy a practise brisket? – The truth is, because of the wholesale chain of supply, we don’t always know where Black Onyx is sold. So it’s over to you guys! We’ll do the best we can where we can to answer your Q’s, but then – let’s crowd source! Join our new Facebook Group and be part of the conversation.